Big Beautiful World 41 – Bug Party! I was walking through the patch of sea holly (had no idea that was actually a real thing, no botanist am I) at the US Botanic Garden, and I was struck by the light, the color, the contrast, the shadow. The bugs! 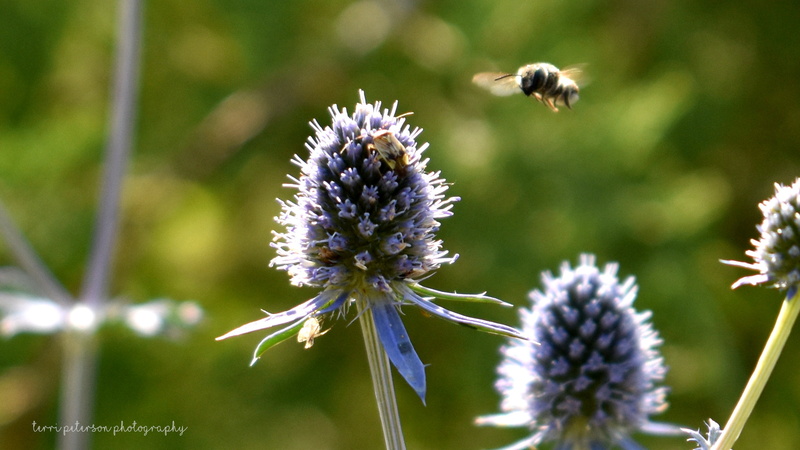 I honestly didn’t realize until I zoomed in that there was already a bug on the sea holly blossom. Bonus!